Adaptable for Clients with Limited Grasp Capabilities. Great for visual tracking and holding attention. 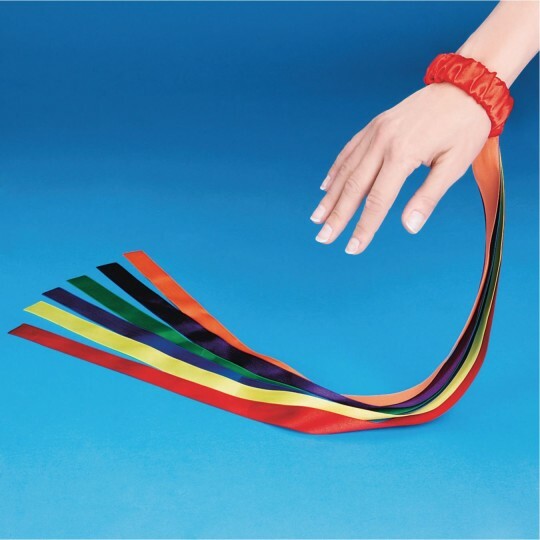 Use with sensory stimulation activities and music therapy. Or combine with gross motor exercise or development. Pack of 12 (1 color for the wrist bands, 6 different colors). Adaptable wrist ribbons for clients with no, or limited, grasp capabilities. Great for visual tracking and holding attention. 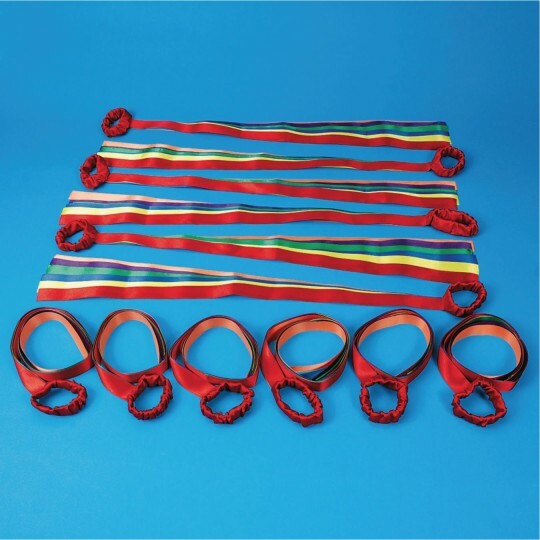 Can be used in conjunction with sensory stimulation activities, music therapy programs and gross motor exercise or development. 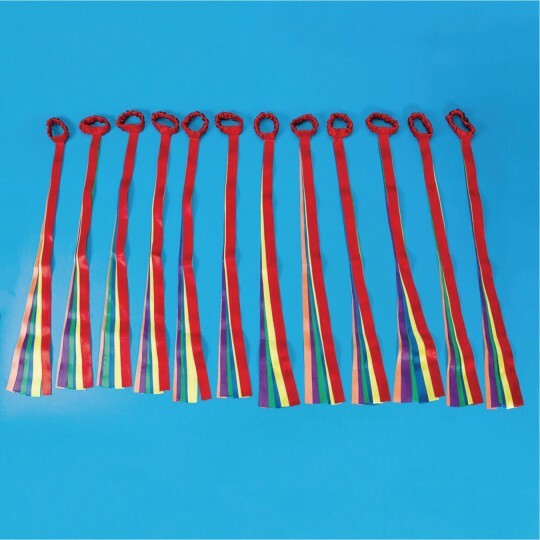 Pack of 12 (one color for the wrist bands and 6 different ribbon colors). Ribbons measure 28"L but can be cut to whatever length works best for your client or group. Gave these as gifts and they were perfect for the group of 4 and 5 year olds I gave them to. Quality material and construction. These are perfect! Got them for party favors for my daughter's upcoming 5th birthday. Really quality elastic covered in soft fabric and the ribbons that hang are good quality ribbon themselves. Very decent price and not easy to find elsewhere. Terrific for educators as well. Hope my daughter's friends enjoy them! I use these in a preschool movement class. They are durable and the kids love them.